Provide comfort for the family of Timothy Walker with a meaningful gesture of sympathy. 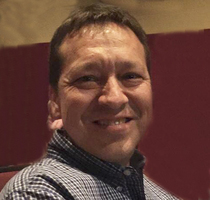 Timothy “Tim” Alan Walker, 55, also known as “Batman”, passed away on Thursday, April 11th, 2019. He was born on May 13th, 1963 in Sandusky, Ohio and grew up in London, Kentucky, where he graduated from South Laurel High School in 1981. He was the son of the late Winslow White Walker and Elizabeth Lucille (Collins) Walker. Tim was a graduate of EKU, where he earned his Bachelor of Science Degree focusing on Business. He was a member of Oasis Church of Christ and he enjoyed tinkering with his truck, working in the yard and loved his dog Samson. Tim was an avid Dallas Cowboy Football, UK Basketball and Cincinnati Reds fan. Tim is survived by his wife, Cynthia (Roberts) Walker; his daughter and her fiancé, Danielle (Jack Jones) Walker; his son, Joshua Walker; his mother and father-in-law, Allen and Renda (Rhodus) Roberts; additional family members, Robert (Mary Hoover) Walker, Clarence A. (Carla Lear) Roberts, Ruby Dee Roberts and Renita A. Jones. There will be a Celebration of Life Visitation will be held on Wednesday, April 17th, from 5 to 8pm, at Oasis Church of Christ, 1362 Lemons Mill Road, Georgetown. Arrangements in care of Johnson’s Funeral Home. 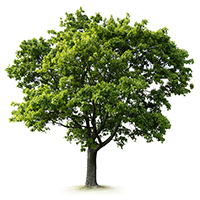 To plant a memorial tree in honor of Timothy Alan "Tim" Walker, please visit our Heartfelt Sympathies Store. My thoughts and prayers are with the Walker family. I met Mr. Walker a few times and he was so nice and funny! May you rest easy. You always had a smile and very kind. You will be missed. God speed. Blessings and condolences for your family. We were so sad when we learned of Tim’s death. We liked him and his family very much. They were good neighbors. There were many times when Tim was kind and generous to us. Our prayers are with his wife and children.